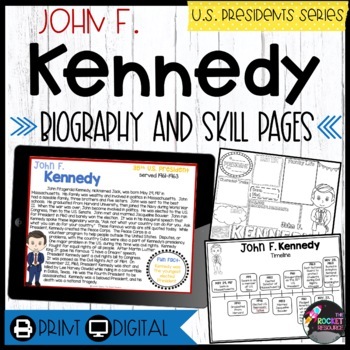 John F. Kennedy: Help your students learn all about the 35th President of the United States while practicing important common core standards! This complex, informational text is perfect for a close reading passage. 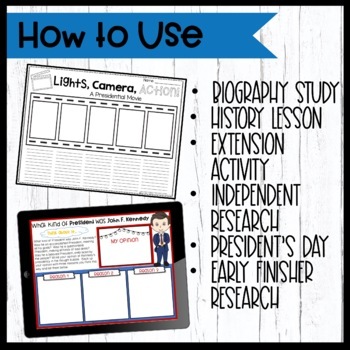 Graphic organizers and practice pages provide plenty of text-based questioning practice. 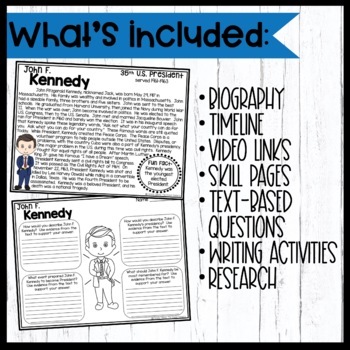 Included pages could be used whole group, small group, partner work, or individually for a week or more duration.